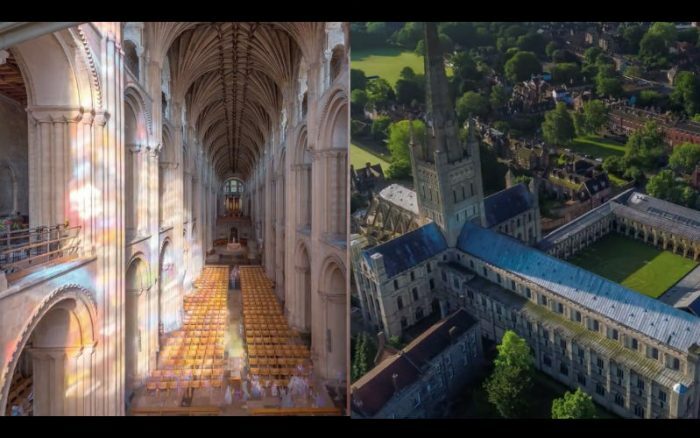 The Facebook page for Norwich Cathedral in England just posted an amazing video tour of the historic cathedral, which you can see below. Norwich Cathedral was built in the 11th century by the Catholic Church and was connected to a Benedictine monastery. But it was taken by the newly created Anglican Church in the 16th century, to whom it has be belonged since.